The countdown is on until the 91st Academy Awards next month and there’s still no sign of a replacement host, after Kevin Hart pulled out. Well, here’s some good news for the organisers of the prestigious award ceremony – looks like they can call off the search, as veteran stoner comedy duo Cheech and Chong have offered to fill the void. 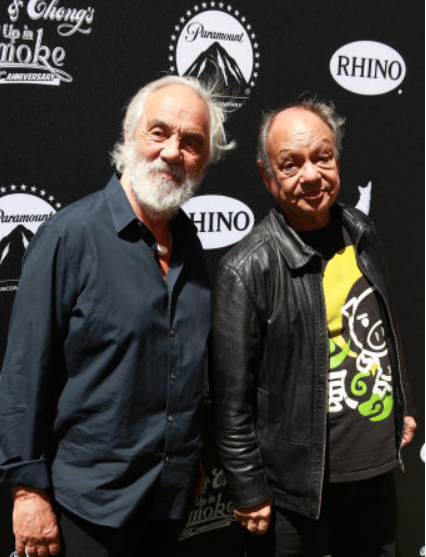 Tommy Chong, age 80, posted a video on Twitter of himself and comedy partner Cheech Marin, age 72, offering their services to host the event, which is set to air on 24 February. See what you did there, guys. The Grammy-award winning pair found huge success in the 70s and 80s with often-controversial performances based on the hippie and free love era – not to mention their well-documented love of cannabis. The Oscars were previously meant to be hosted by Kevin Hart but he stepped down after facing a backlash over some tweets resurfaced, dating as far back as 2009, which were widely adjudged to be homophobic. Following this he tweeted his resignation from the awards. No host has been confirmed for the ceremony, but who knows? Cheech and Chong could have their chance.